Why did Nature Invent Spin? I think this issue receives too little attention. Usually, it is said that spin is a consequence of the Dirac equation and thus, something that follows necessarily from relativity and quantum mechanics. Let us have a brief look at the argument. Schrödinger’s non-relativistic equation is . The momentum operator p = m v is and thus, the term on the left-hand side of Schrödinger’s equation is derived simply from the kinetic energy ½ mv2. It is interesting that none of the successful predictions of Schrödinger’s equation for the hydrogen atom make specific reference to the nature of the electron (for which the wave function gives a probability that it will be found in a certain state). They refer only to the kinetic energy; irrespective of the type of wave-natured particle that orbits the nucleus (in fact, it also works for muonic atoms). Dirac used the correct special relativistic term for energy E = and replaced Schrödinger’s term. However, there was no explicit justification for switching from the kinetic energy to the total energy of the particle. This conceptual problem was overshadowed somehow by the mathematical problem arising from the Delta operator in the square root, to which Dirac found an ingenious solution using the matrices named after him. The algebra of Dirac matrices transpired to be a description of spin. In the following, the opinion spread that spin was a consequence of putting relativistic energy into the basic equations of quantum mechanics. However, the initial problem of the missing equivalence of kinetic and total energy persisted. Dirac was also disappointed that he could not deduce any concrete properties for the electron from his equation. The retrospective narrative is that the positron, undiscovered in 1928, was a ‘prediction’ of Dirac’s theory, but Dirac had rather sought to explain the huge mass relation of the proton and electron, which is 1836.15. In fact, in his latter days, Dirac distanced himself a little from his earlier findings and according to his biographer Helge Kragh, he was “disposed to give up everything for what he had become famous”. Let us adopt another perspective regarding the nature of spin, one which is related to the properties of three-dimensional space; the world we perceive (those who perceive more dimensions should see a doctor). The group of rotations SO(3) obviously must have some significance, but its topology is a little intricate. It lacks a property called ‘simple connectedness’ because the paths in SO(3) may not be contracted. Objects connected to a fixed point with a ribbon must twist 720 degrees, not just 360 degrees, in order to perform a full rotation that leaves the ribbon untwisted (see the visualization here). It seems that nature has a predilection for the generalized rotations called SU(2), which are simpler mathematically and have a surprising feature; they represent precisely the electron’s spin – you need to perform a double twist of 720 degrees, rather than just 360 degrees, to get into the original position. However, there are no Dirac matrices and thus, I think there is an open problem. It seems that the properties of three-dimensional space alone are sufficient to cause spin to emerge – no relativity or quantum mechanics are needed. To put it another way, a direct understanding of quantum mechanics from the geometrical properties of space, if there is one, is still missing. This entry was posted in Dirac, Quantum Mechanics, Simplicity, Unsolved Problems by AlexanderUnzicker. Bookmark the permalink. There are papers on this sort of thing, Alexander, but they struggle to get into journals, and then they struggle to get any publicity. See for example http://www.cybsoc.org/electron.pdf and look at the picture on page 6. Note the dark line. It’s essentially the same as Qiu-Hong Hu’s helix at http://arxiv.org/abs/physics/0512265. Also look at gamma-gamma pair production, electron diffraction, the Einstein-de Haas effect, magnetic moment, the wiki atomic orbitals article where you can read that “electrons exist as standing waves”, and of course annihilation. The electron is a 511keV photon perpetually displacing its own path into a closed Dirac’s-belt path. This only works at 511keV because that wavelength “fits” with h. See the spindle-sphere torus at http://www.antiprism.com/album/860_tori/imagelist.html and try to imagine it without a surface. It has as much surface as a subterranean seismic wave. The electron’s “intrinsic” spin is something like the intrinsic spin of a cyclone. Take that away using an anticyclone, and all you’ve got is wind. Take the electron’s spin away with a positron, and all you’ve got is light. A medical doctor called Andrew Worsley told me about something else that looks interesting: Planck length is l=√(ћG/c³). Replace √(ћG) with 4πn where n is a suitable value with the correct dimensionality. You’ve still got your Planck length. But now set n to 1, and work out 4πn/√(c³). There’s a binding energy adjustment, but it’s small, like 2.002319 compared to 2. Look at the Watt balance section of the Wikipedia kilogram article. That refers to g rather than G, but if you can define the kilogram using h and c and not much else, surely you can do the same for the mass of the electron. Photon momentum is resistance to change-in-motion for a wave propagating linearly. Electron mass is resistance to change-in-motion for a wave going round and round. See http://www.tardyon.de/mirror/hooft/hooft.htm but note that the ‘t Hooft here is not the Nobel ‘t Hooft. Rotations in 3D in our theory are not physical rotations, but recalculation formulas from one reference frame to another one oriented differently. That is why, for example there is no the angular velocity of rotations in such formulas. And in 3D space there are only $latex 2 \pi$ different angles (reference frames), speacking figuratively. Lol, this is so wrong I don’t know where to begin – what a target-rich environment. 1) You forgot to include the potential energy term in Schrodinger’s equation. Without it you will have no prediction for the hydrogen atom. 2) You can’t derive Schrodinger’s equation from the relationship between energy and momentum. At best, it acts as a motivation. 3) The ribbon twisting of 720 degrees doesn’t have any connection to the fact that you need 720 degrees rotation for an electron to get back to it’s original state. It’s just a coincidence that SU(2) is the universal cover of SO(3). 4) Spin is a quantum mechanical property, period. You simply can’t have spin, i.e. an intrinsic angular momentum without actually moving parts in classical physics. For example, trying to ascribe electron’s spin to something like axial rotation will immediately lead to faster than light speeds. Apart from these glaring mistakes this post is a collection of inchoate sentences and charming ignorance. Rather than dissing particle physicists make an honest-to-god effort to understand what they have accomplished. You’ll never be able to repeat what they did but at least you’ll be able to appreciate what a supreme edifice to human intellect particle physics is. I see your desire to place a criticism here. I don’t think you understood the post. suffers from. Alfred North Whitehead called this the fallacy of misplaced concreteness. Would be nice if you attempted to answer Ray’s legitimate questions, Alexander Unzicker. Why, for example, do you show the Schrödinger equation (SE) for a free particle when writing about the hydrogen atom? You claim that the non-relativistic SE had made successful predictions for the hydrogen atom (H) without explicitly reference to the features of the electron. Hold on! Even in the free SE shown by you, a feature of the electron is clearly seen on the left side: its mass. The most simple SE for H has only a term for the Coulomb potential; there’s no spin. Nevertheless, the mass and charges of the electron and the proton need to be entered for concrete predictions. Four values falling from heavens. Historically the simple SE for H soon turned out to not sufficiently describe the H. For example, a term for the spin needed to be added, another feature of the electron not being an intrinsic part of the SE, but added manually (reminds me of adding another epicycle That disappointment was a strong motivation to look for a more general description. By the way, although the general formulas for the muonic hydrogen are similar, actual solutions are different and a muonic H is easily distinguished from a “normal” one. Obviously, you are used to parroting. I would say these are attempts. Be it as it may, but these attempts point in a direction radically different from the current theory of quantum spin. Only time will tell. Since the end of the 19th century, there have been many hard-to-drill problems encountered in physics that have often been bypassed in favour of making rapid progress in other areas. These range from failed attempts to create a viable electromagnetic worldview, failed attempts to determine a finite extended structure for the electron, interpretation of Planck’s Blackbody radiation equation, and wave-particle dualism to infinity removal methods in QED. The concept of ‘spin’ has also been a controversial matter. Mathematical notation has been one of the controversial areas and some physicists such as Heisenberg have even advocated abandoning connecting of the mathematics to physical concepts. There is also a methodology in mathematical physics that is blind to the physics and has only the achievement of a known value as its goal. 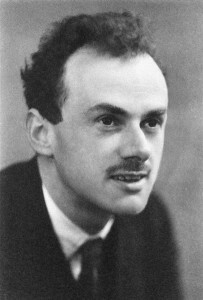 Dirac leaned more towards the mathematical side in his formulation of relativistic QM. There were disputes regarding the use of quaternions vs. vectors in EM theory and general physics that have resurfaced in Quantum Mechanics (see Mendel Sachs and David Hestenes). It should be noted that a notation system can hamper efforts at understanding if it doesn’t fully reflect or make explicit the underlying physical reality. I came up with the idea of a rotating wave for an electron back in 1987 while finishing a grad project in architecture and studying physics which I did in my undergrad. Architecture problem solving taught me how to step outside the box and that does not mean disregarding math and laws of physics. It means looking down a different road and wondering. Last year I got back into it ernestly and finally properly derived the Gkl using the affine connection. The electron wave traces a helical path in constant forward motion. The Rotor position vector is the eigenvector. Gravity slows down the rotation and the helical path spirals outward. The cylinder becomes a flute with intrinsic curvature. So now I am relearning the Weyl, Dirac, Schrodinger, Pauli equations and comparing with the wavefunction of the Rotating Wave. It is all such beautiful poetry. As a young boy I learned how to hoe the vineyard and that led me to wonder what is gravity. The soil is fertile and it needs be turned. Google Christie Wavicle to see the model. Disregard the attempt at the long derivation of Gkl. It has been corrected by the more recent and simple derivation just last year.